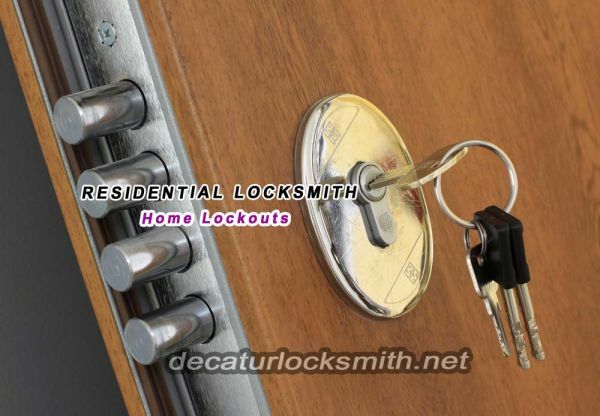 Decatur Locksmith - Decatur Locksmith offers you emergency, residential, commercial and automotive locksmith services. We are open 24/7. For our service call (404) 418-6442. Decatur Locksmith offers you emergency, residential, commercial and automotive locksmith services. We are open 24/7. For our service call (404) 418-6442. If you have just realized that you’ve locked yourself out of your home or that you have locked your keys in the car, you can count on Decatur Locksmith. At Decatur Locksmith we offer you emergency, residential, commercial and automotive locksmith services. We know that some incidents are simply unpredictable. If you care about the quality of services you receive from a service provider, you can be sure that this is exactly what you’ll find at Decatur Locksmith. We will be there in a matter of minutes to get you the help that you need. Our locksmith technicians have been successful at helping hundreds of motorists get back on the road quickly. We have taken the time to select only the best and most qualified locksmith technicians in the area. With our locksmiths, you can be sure that the job will be performed correctly. Our locksmiths are committed to your satisfaction and that is why we only use the best locksmiths around. When you find yourself in a pinch and need help quickly, turn to Decatur Locksmith. We have all that we need to get you the help you want at prices you can afford. There are other locksmith services but none in Decatur are preferred more than the services of Decatur Locksmith. We use the best industry brands: ASSA, Kwikset, ILco, Arrow, Baldwin and Schlage. When you turn to us for your service needs at Decatur Locksmith, we proudly stand by the work of our locksmith technicians and guarantee your satisfaction. When you need residential, commercial or automotive locksmith service, you’ll receive it from us. We offer efficient services at affordable prices.